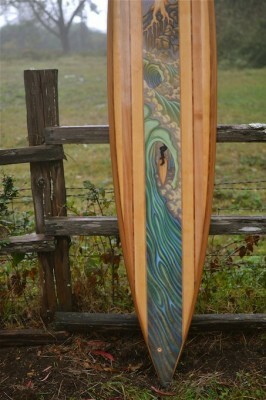 Bob ‘Ole’ Olson is a true craftsman in every sense of the word. 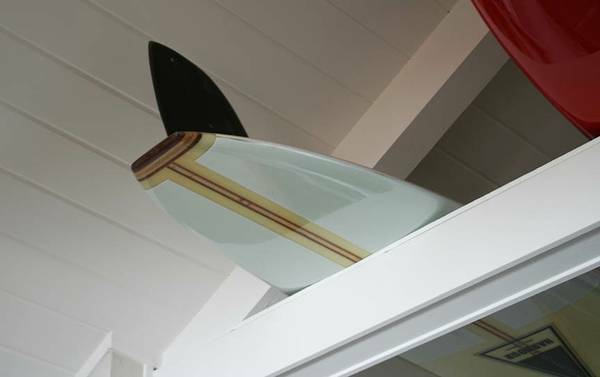 Ole has helped to keep the craft of planing a surfboard with your own hands from start to finish alive since he started and still does today.He is a legend in the shaping world and in the town of Lahaina, Maui where he resides. 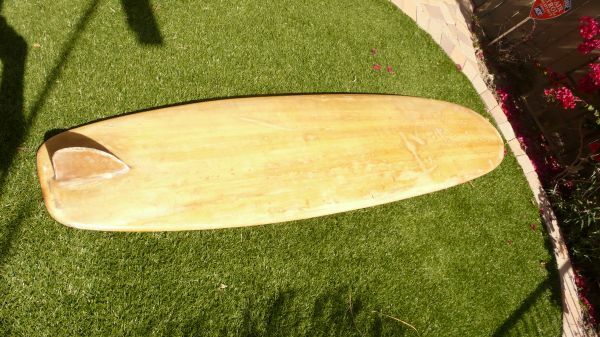 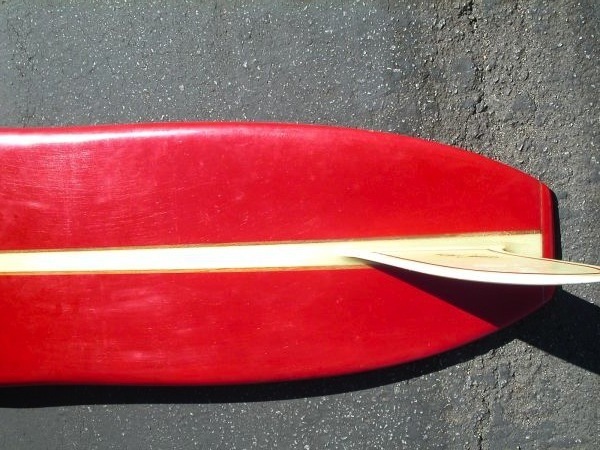 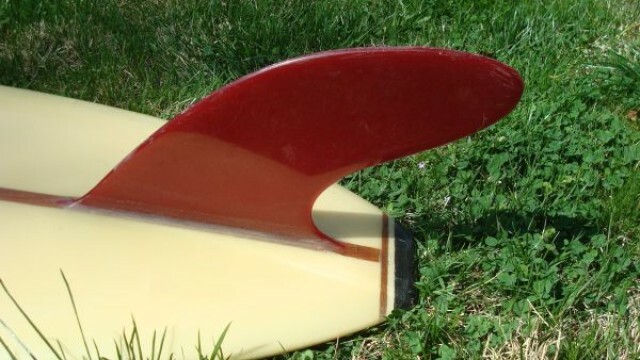 He started shaping in 1958 and his customers loved his boards. 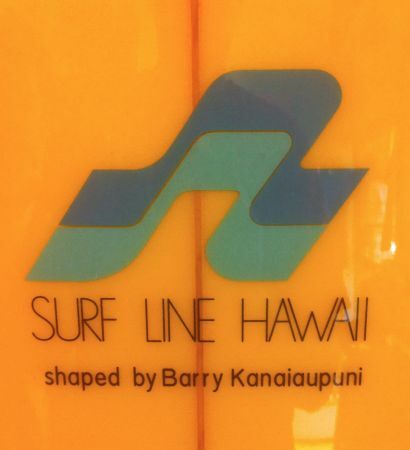 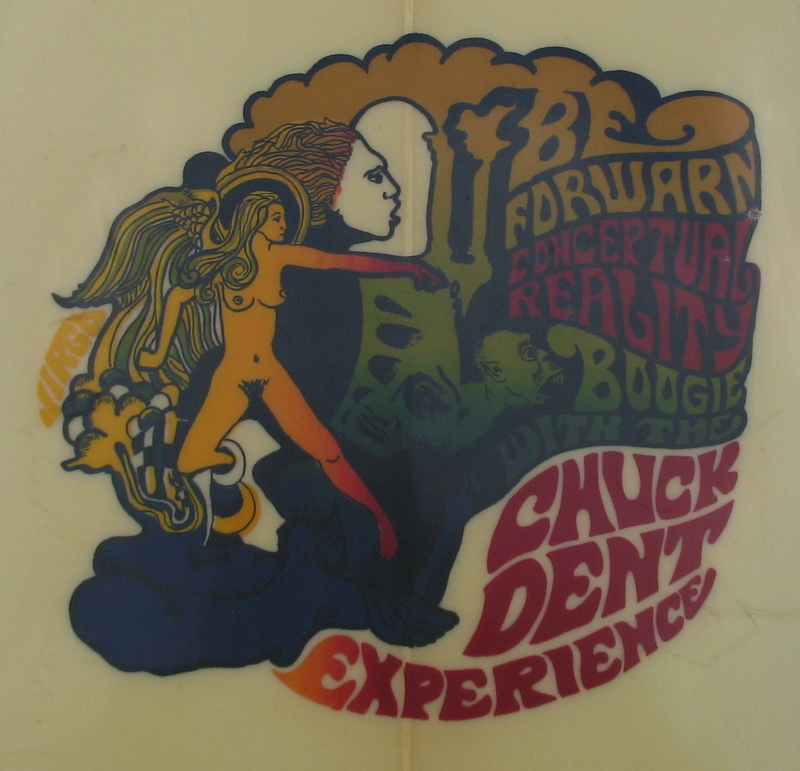 He kept shaping through the years, later moving to Maui in the 1970′s. 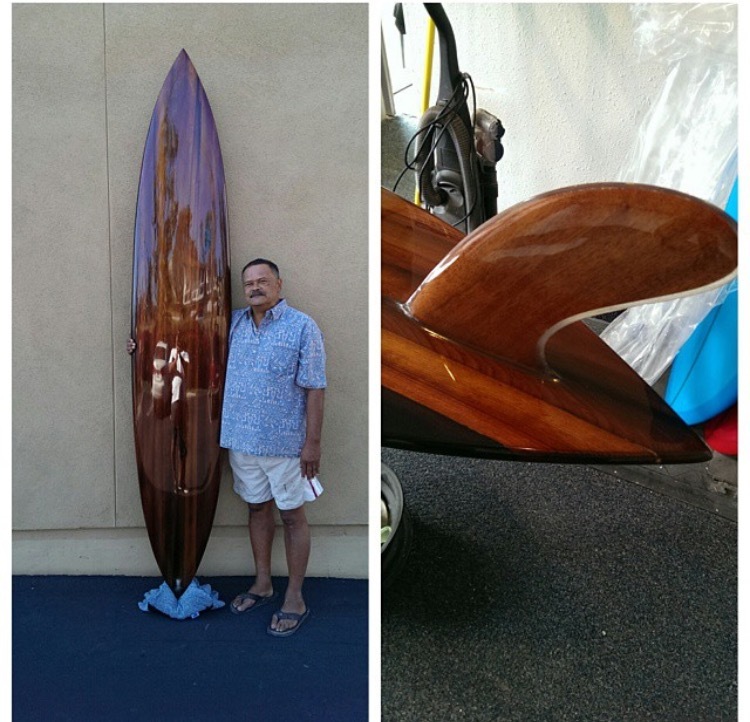 Bob is now in his 80′s and still surfs and shapes. 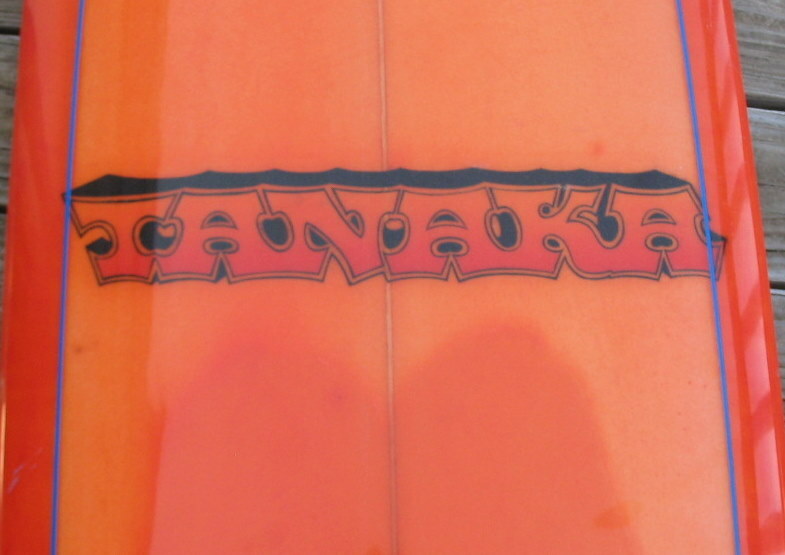 Every year he holds the annual Ole Long board Classic at Launiupoko Beach Park. 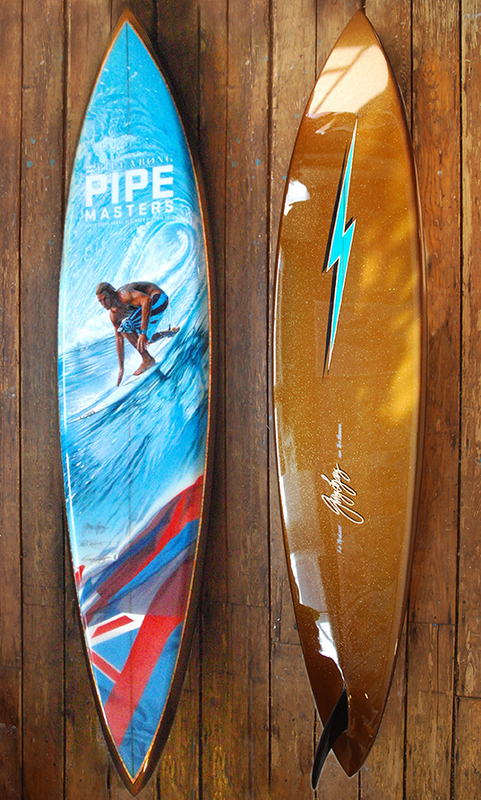 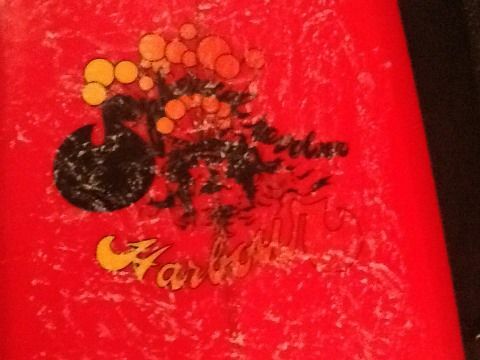 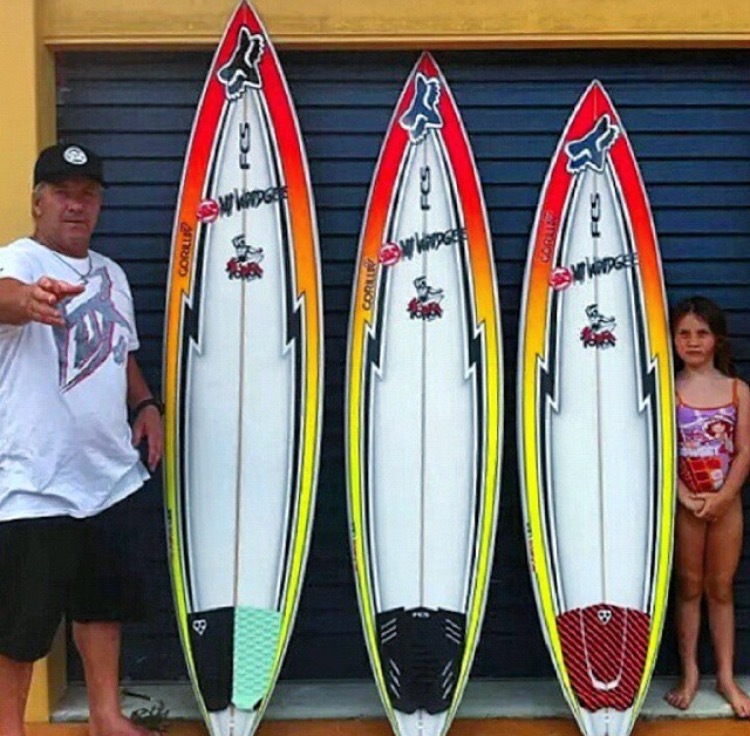 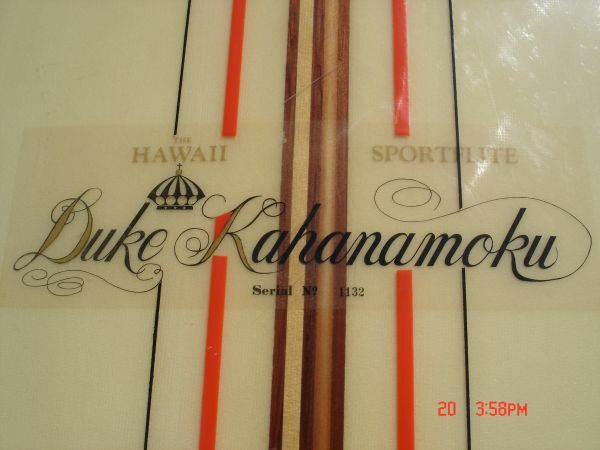 He was recently Inducted into the International Surfboard Builders Hall of Fame in 2010. 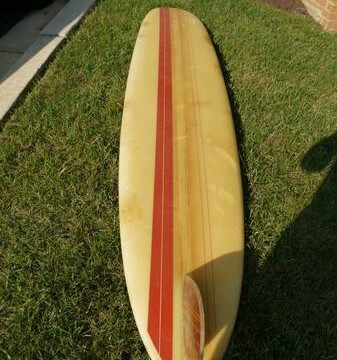 I bought a surfboard here on Panama City Beach, FL at a pawn shop that on the bottom says: For: John Olvey Aloha by: Bob Olson 1995. 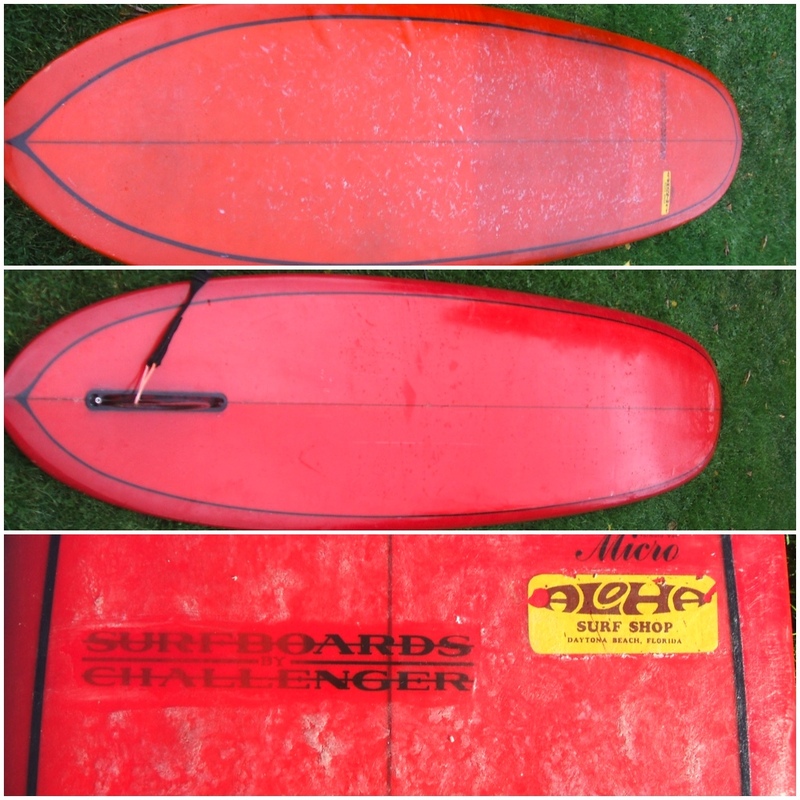 I’m sure you wouldn’t remember making this board but it never hurts to ask. 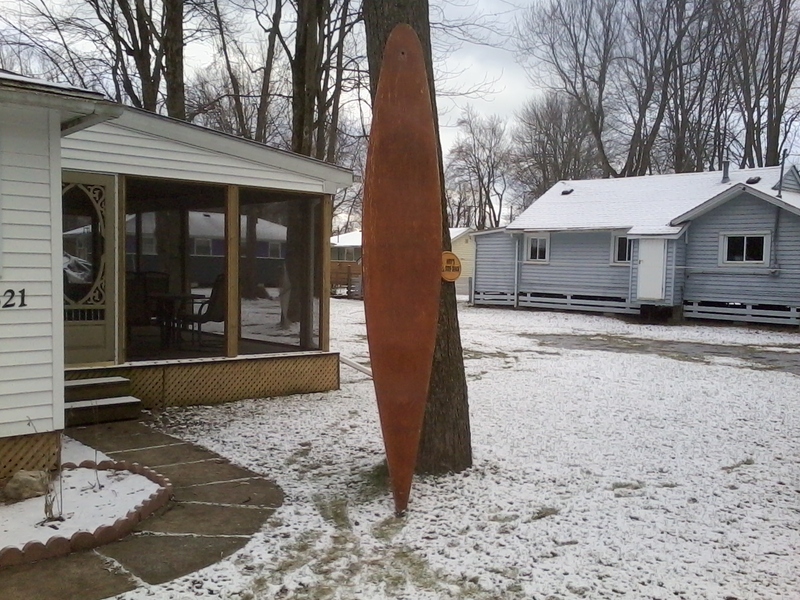 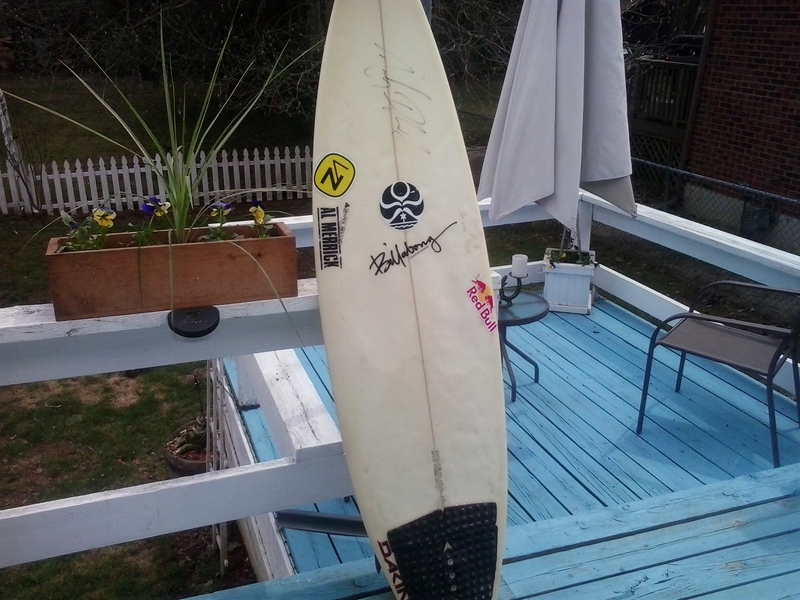 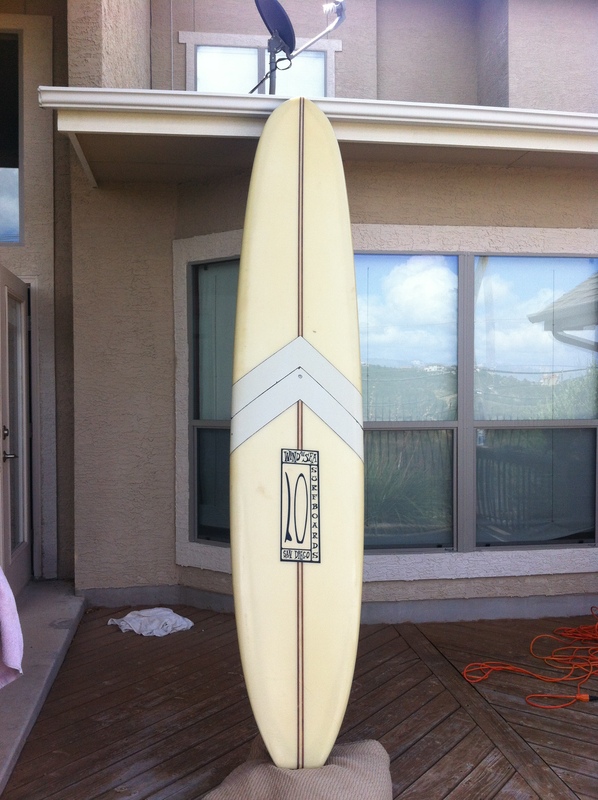 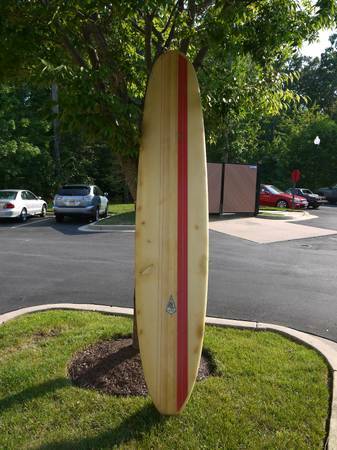 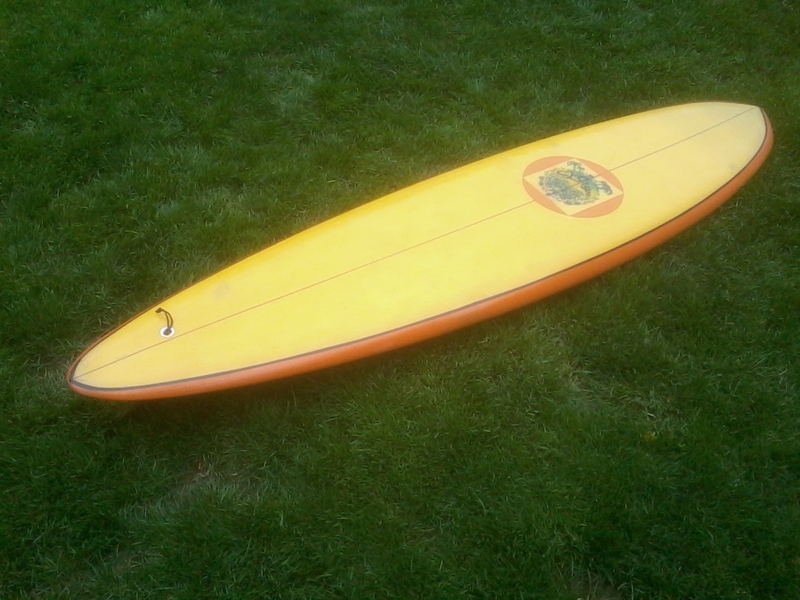 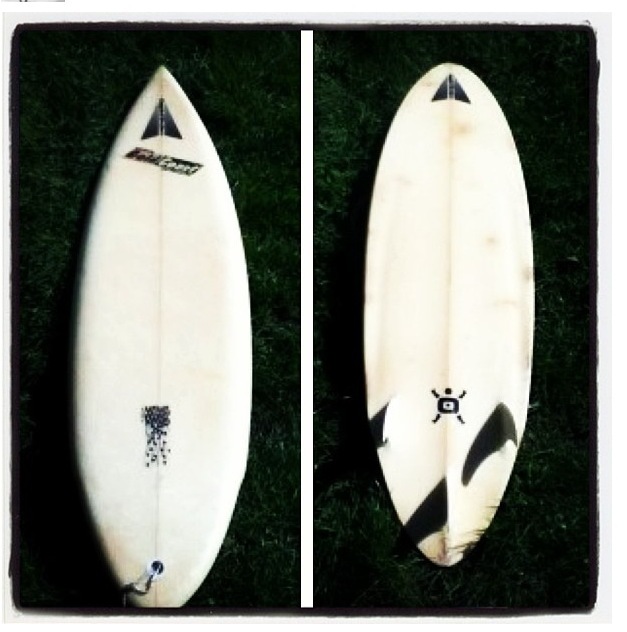 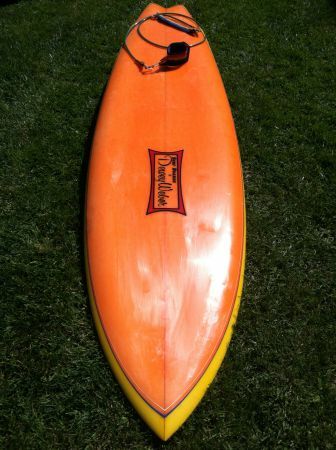 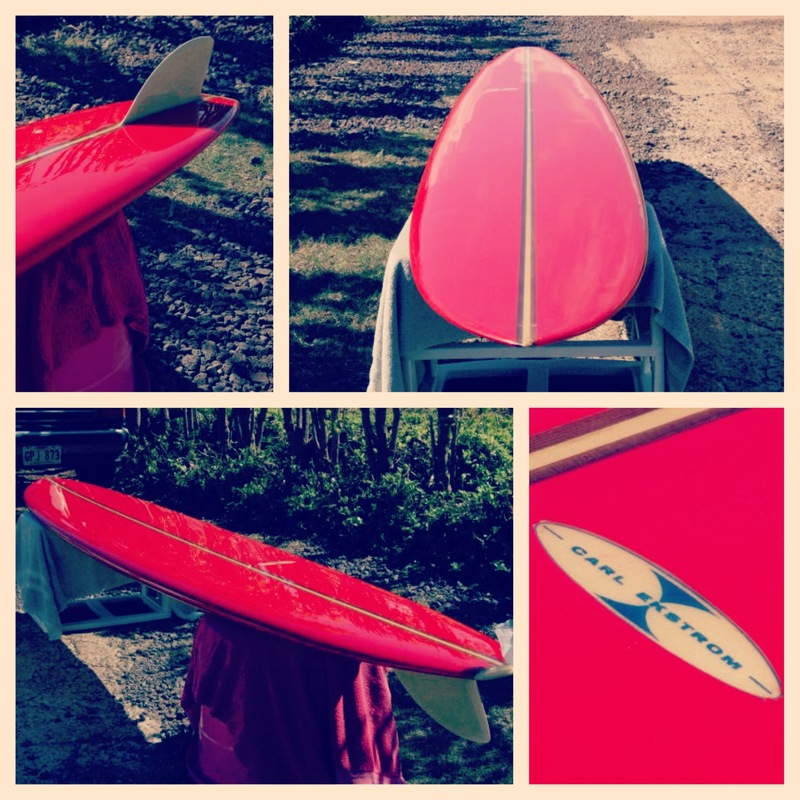 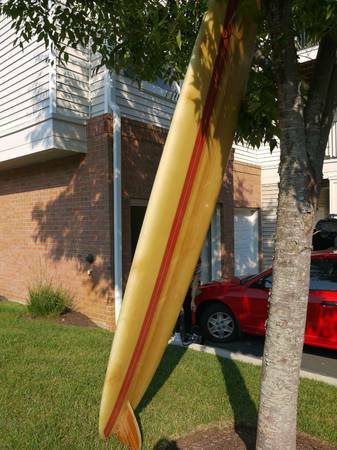 This looks exactly like my old surfboard I learned to surf on in San Diego. 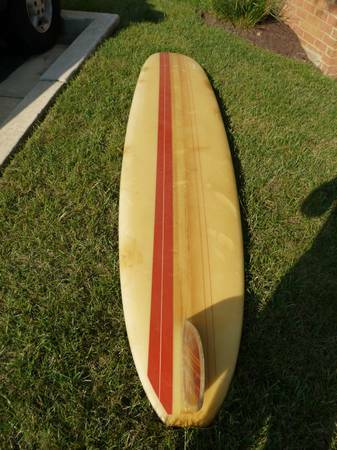 Mine had the sticker in the same place and the red stripe just like this. 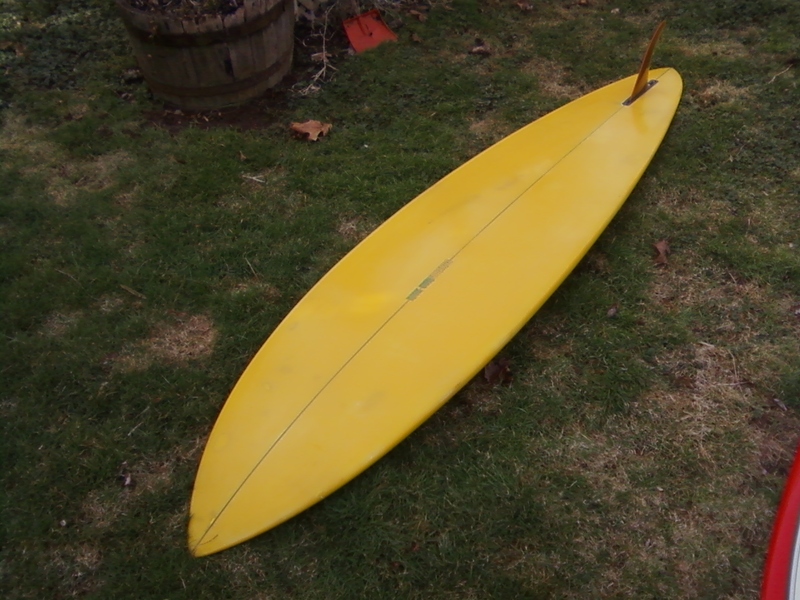 I read an article by Corky Carroll. 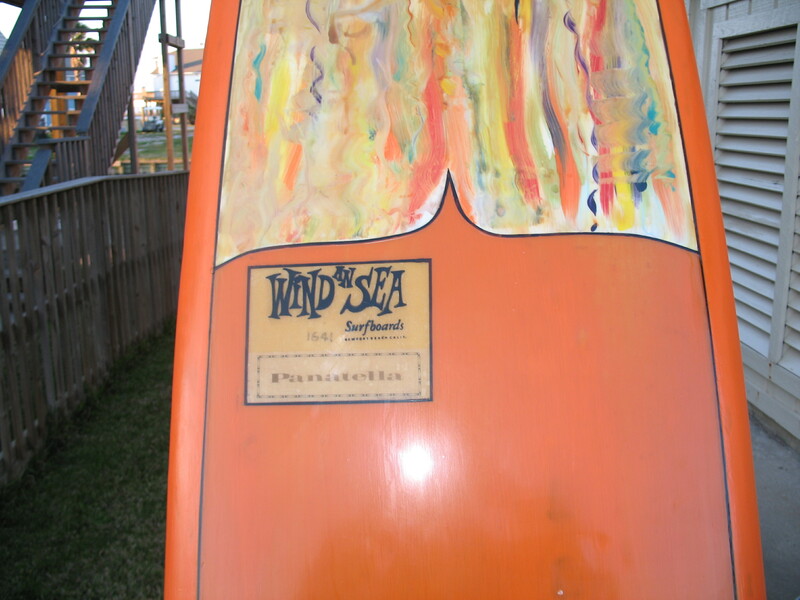 That said Ole Olson surf shop was in Sunset Beach. 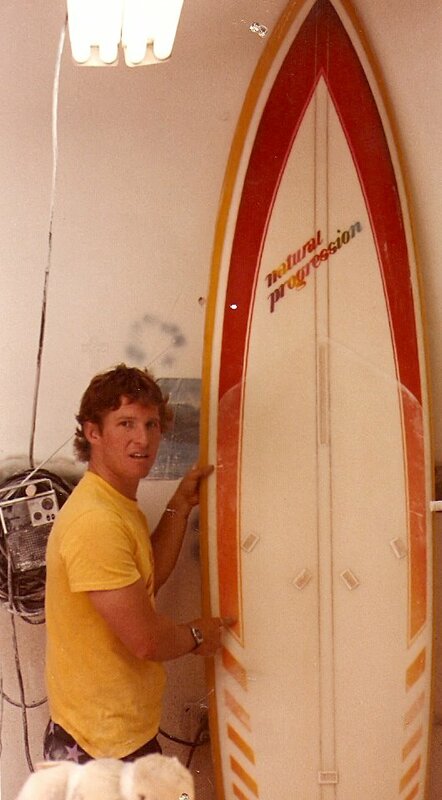 Where was the exact location and what year.